But, what about a baby cockroach? Just like all the animals, roaches also have babies. But, just like the adults, these baby roaches look disgusting and they spread diseases. According to WHO, roaches play a secondary role in spreading diseases just like flies. So, if you see baby cockroaches in your home, then it clearly indicates that there is a nest and a lot more are hidden in your house. 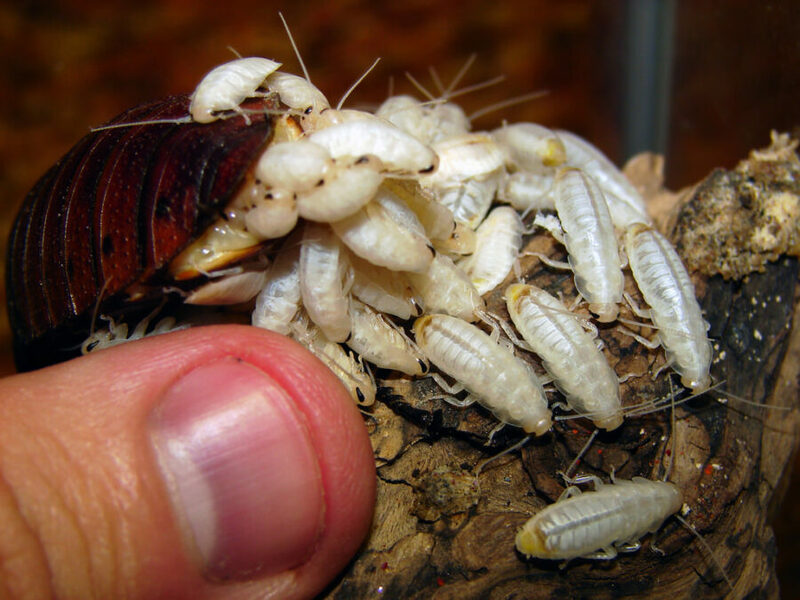 So, today, in this article, you’ll read about their appearance and how to get rid of these baby roaches. What does it mean if you see baby cockroaches? Baby roaches are the just a small version of adult roaches. These are smaller than adults, and the babies don’t have wings. Generally, these are white or grey in colour, but it totally depends on their species. In the below, I’ve shared a few pictures of baby roaches that you can check. The two most common species of roaches which we found in our houses are German & American roaches. These are one of the most common roaches that we found. 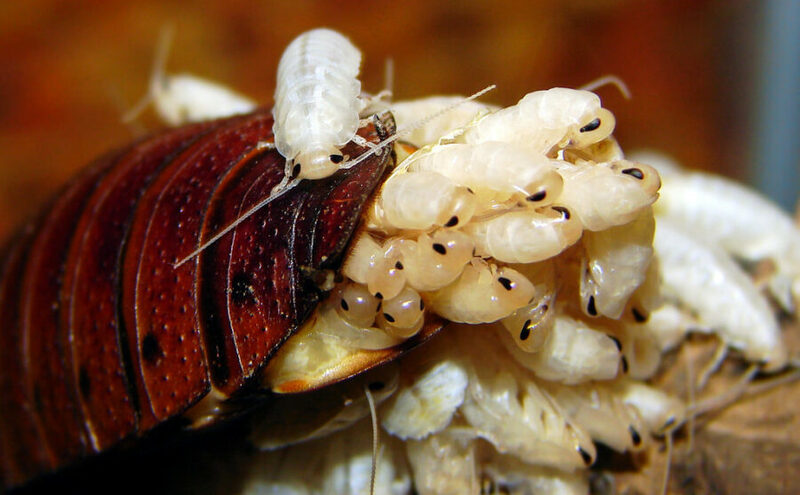 The baby German roaches have smooth bodies, and they are around 3 millimetres in length. The adults have markings on their bodies, but the baby German cockroaches don’t have these markings. Also, they don’t have wings. But, when they get bigger, they grow wings. The adult American cockroach is reddish-brown in color, and they are generally around 4cm long. These are the big roaches that scare a lot of people around the world. These are the big roaches that scare a lot of people around the world. The baby American cockroach is darker in color as compared to adults, and just like German baby roaches, they develop wings as they grow. You’ll rarely see a baby American cockroach crawling outside along with the adults. 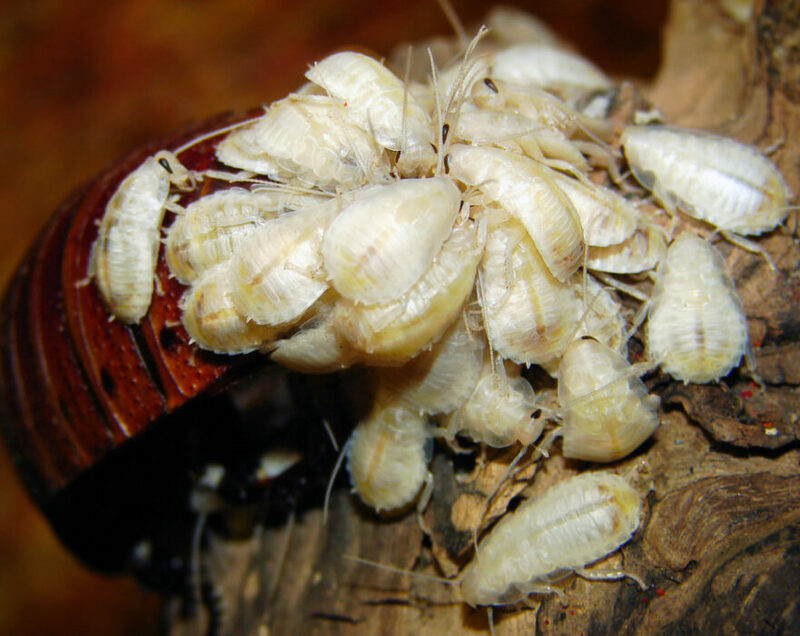 These small and immature roaches stay hidden in the dark and moist areas until they’re old enough to live on their own. That’s why we only see adults instead of baby roaches. These images are taken by Matt Reinbold. At first, let’s talk about the adults. If you see a cockroach crawling in the daytime, then you can expect 10 to 20 times more at night. 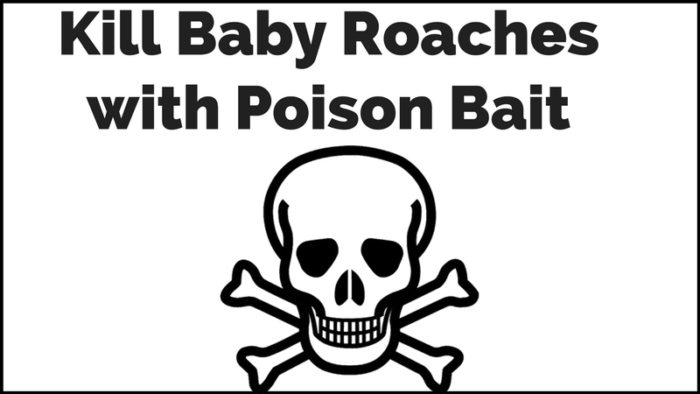 But, if you see baby roaches in the daytime, then the situation is a lot worse. First, most of the roaches come out at night. So, you can expect many times more at night. Second, babies stay hidden until they grow enough to survive on their own. So, if you see a baby cockroach outside, it means there are a lot of babies present in your house. This means, there is heavy roach infestation and they have a nest in your house. Seeing them crawling is also an indication that in the coming days their population is going to grow exponentially. If your home is infested with baby roaches, then you need something that’ll eliminate them as quickly as possible. These 3 things will definitely help you to eliminate them from your house. These are the general places but they can hide any places where they get undisturbed like window corners, basements, attics etc. Cracks & Crevices are the most common places where they hide, and these places are also easy to target. 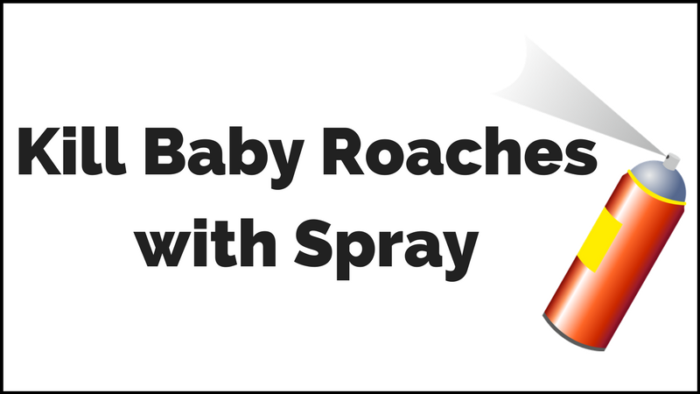 To use a spray, first, you’ve to find holes & cracks where baby roaches are hiding. After that, just spray it inside these places, and you’ll kill a lot of them. For that purpose, Raid Roach Spray is perfect. It’s cheap, effective, fragrance-free, and trusted by hundreds of users. These smaller creatures hide in the dark places in the holes & cracks. So, you’ve to place the bait near all the places where you can expect them. They stay near the place where they born and they don’t walk long distances like the adults. So you’ve to place many small baits around their homes. The Advion Syngenta Cockroach Gel Bait is the most popular & effective product on the market when it comes to killing cockroaches. It’s one of the most effective roach killers for your house. With the special tools (which you’ll get with Advion Syngenta), you can easily place the bait near & inside the holes. It attracts roaches, and after eating it, they spread it to the baby roaches and with the other adults. In the end, they all die. To eliminate an entire roach population from your house, there is nothing better than Advion Syngenta Cockroach Gel Bait. The sightings of baby roaches clearly indicate that there is a nest of roaches somewhere in your house. Their population is going to explode in the coming days. Therefore, to deal with them, sprays and poison baits work well for killing baby cockroaches in your house. When it comes to dealing with these crawling creatures, home remedies are not the most effective way. But, here you can read about some of the common home remedies that may work for you. 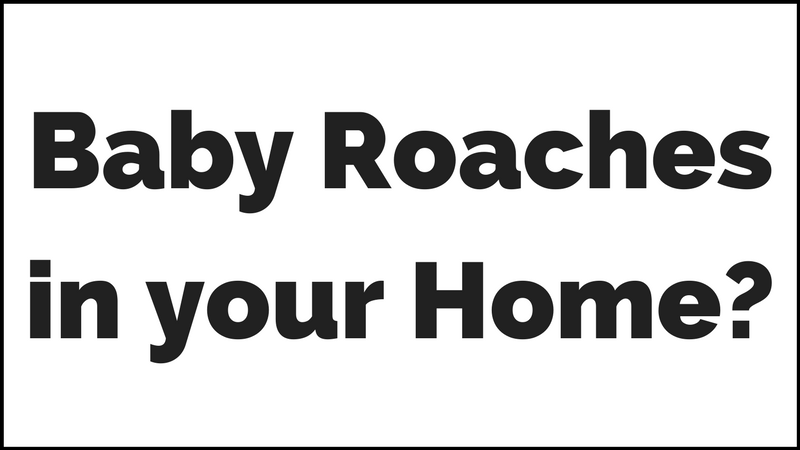 Do you’ve baby roaches in your home? How you’re dealing with them? Hi Allen, there is no perfect answer to your question. In my opinion, a landlord is responsible for any broken parts or accessories in the property, but cockroaches don’t come under landlord property. But, if you think in another way, they get attracted towards dirty places, and a landlord is responsible for that. Note: I have almost zero knowledge of landlord and property thing. So, don’t rely on it. I just shared my opinion.